William Cuthbertson has extensive experience in giving individual piano lessons to pupils of all ages and experience, from complete beginners to professional performers. 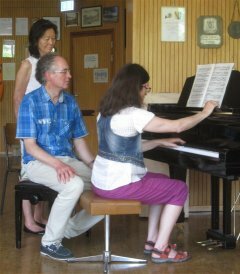 Cuthbertson teaches Professor Peter Feuchtwanger’s piano exercises, which produce a natural and individual piano technique. With his differentiated methodological knowledge, he goes into the individual needs of his students and encourages them to make good progress. William Cuthbertson also encourages his students to produce a beautiful tone by analysing the ‘musical sense’, the structures and the intentions of each work, examining their effect on the listener. 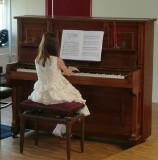 William Cuthbertson provides piano accompaniment and additional coaching for performers on other instruments, for example in preparation for examinations and competitions. William Cuthbertson also teaches children, from beginners to advanced. 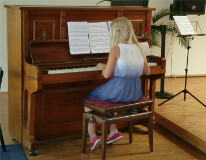 The children can get to know not only classical pieces but also pieces from the pop and jazz repertoire. 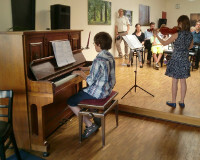 They can also be coached for the ABRSM Exams .